Foodie Friday – This is preventive health! Looking for ways to increase your consumption of Vitamin C in the morning without eating fruit or drinking OJ? Then look no further… this Spanish-Style Eggs & Veggies recipe gives you a full day of your RDA (recommended daily allowance) of Vitamin C (and a good dose of Vitamin A and K) as well as a whole host of other good phytonutrients! It is also gluten free. Makes 2 large servings or 3 small. Gluten free. May be made vegan or vegetarian if you substitute out the eggs and cheese. Dice the potato, squash, and onion. Thinly slice the sweet peppers into strips. Roughly chop the piquillo peppers. Remove the parsley leaves from the stems and chop. In a large pan, heat 1 tbsp olive oil (or other oil alternative), add the potato, season with salt & pepper, & cook 8-10 minutes stirring occasionally. Add the squash, onion, and sweet peppers. Season again and cook 3-5 minutes, stirring occasionally, until everything is lightly browned and soft. Add the tomato paste, stir frequently for 1-2 minutes until dark red and fragrant. Add the piquillo peppers, vinegar, and 1/2-3/4 cups of water. Cook for 2-3 minutes or until sauce is thickened to desired consistency. Stir occasionally. Season with salt & pepper. Split veggies into two plates, add an egg on top with the parmesan cheese and parsley and serve while hot! This recipe is adapted from Blue Apron! Check back next week for another nutrient packed recipe that is easy to make and tasty to eat! Interested in learning why Vitamin C is good for you? Follow http://www.emmapetshow.com for the answer tomorrow afternoon! The information in this blog is not to be take as medical advice. Please consult your physician prior to starting a dietary change or adding in new foods to your diet. “Buy and cook what is in season”, that’s what we are always told right? Besides just being trendy, the mantra is actually true! If you purchase and consume in season produce you will not only get the most fresh and tasty food and help the environment, but you will also save some serious $$$. 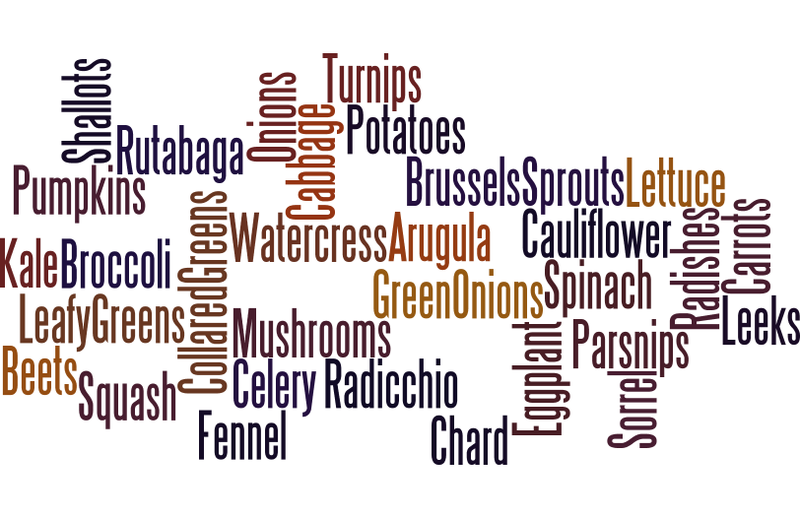 Here is a guide to what is fresh in the fruit and vegetable world this month for local NW produce! Be mindful that this list pertains mainly to NW residents. If you are from or living in a different location, click on the links below to create a list that pertains more to you! Later on this month, stay tuned for a recipe that uses What’s Fresh produce for its ingredients. If you want ideas for how to incorporate certain foods here into your diet let me know by leaving a comment! 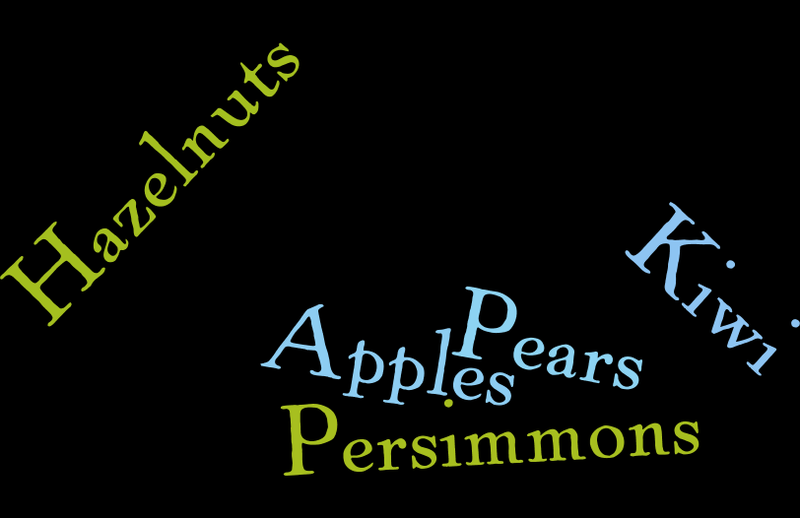 You voted and APPLES was the most popular fruit from October! 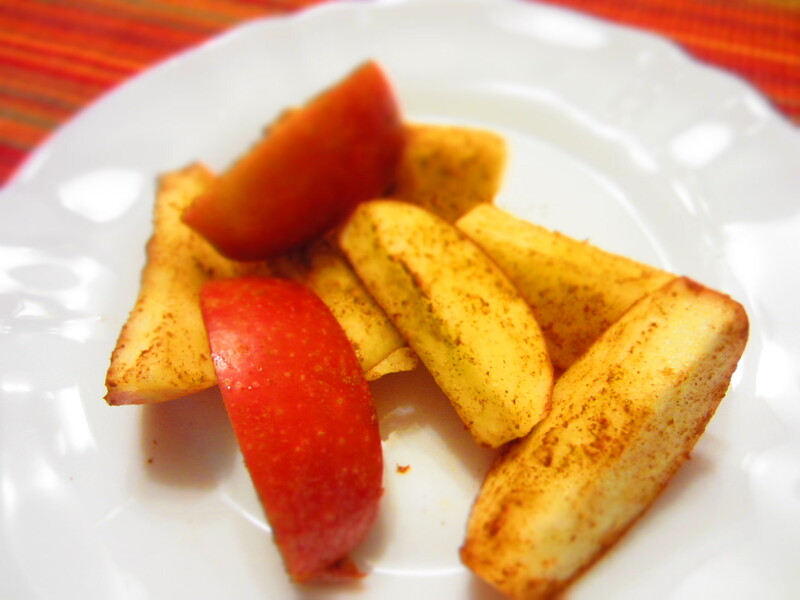 One of my favorite ways to use apples as a “sugar free” treat is to make cinnamon apples. There are many ways to make these, but you do not have to bake or be a fancy chef to make this quick sweet treat! Eat and enjoy! You could also use this as a base for apple pie filling and it contains no added sugar! If you use a granny smith apple, this dessert is sugar cleanse approved. 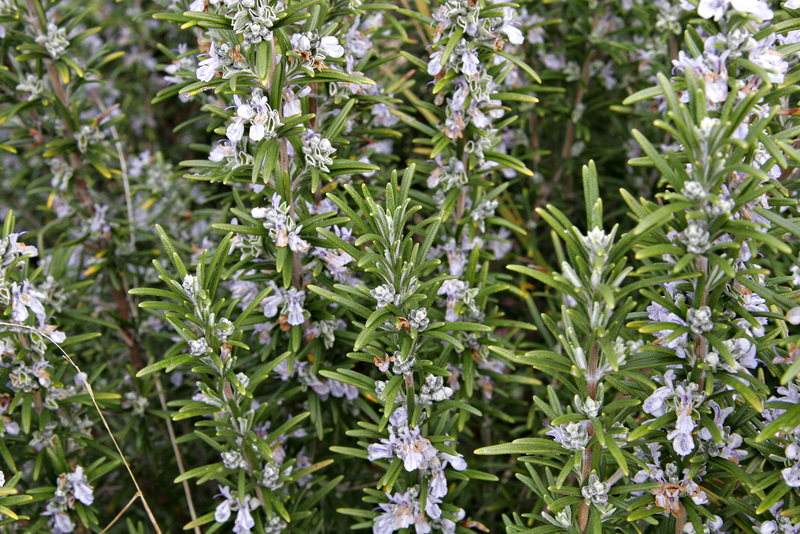 Rosemary, sometimes referred to as the “dew of the sea”, is a highly fragrant and useful herb. It has been used over time to flavor food, help with memory, as a cleaning product, and to improve mood. It has a balancing effect on both the mind and the body. 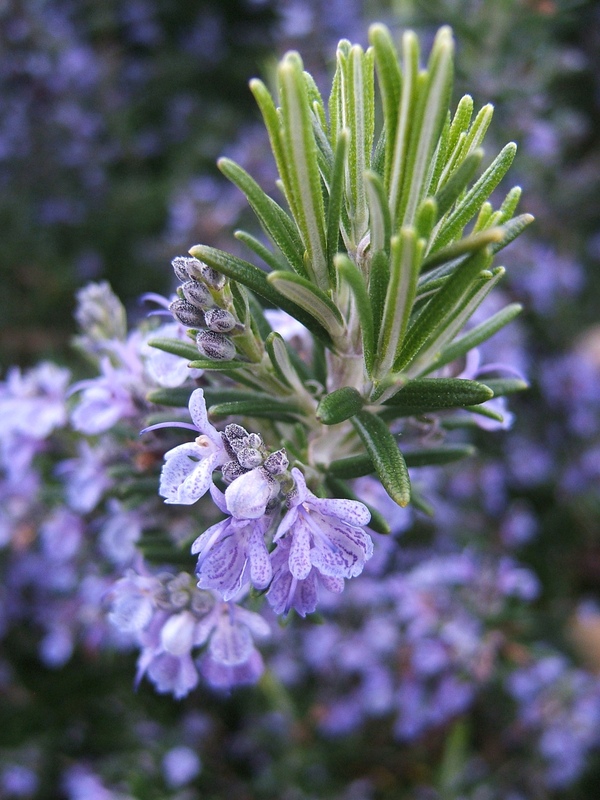 See below some common uses of Rosemary and how to cultivate it yourself! Flower: use the essential oil in a bath, foot scrub, etc. Add rosemary to baked/roasted veggie dishes for extra flavor! This is preventive health! Boil a handful of leaves in 2 cups water x 10 minutes for antiseptic solution for washing counters, bathroom fixtures, etc. How to grow it yourself! Sunny, protect from cold winds! Also, can grow indoors in large pot. Transplant when large enough to handle and plant 2-3 feet spaces between plants. Can also be grown in a container indoors, as long as there is sunlight. Dry sprigs/branches, strip off leaves before storing, and crush leaves just before use. Most of us strive to eat healthy, cook fresh foods, and eat out as little as possible! That being said, we all have those days where there is no time and grabbing something quick from a restaurant is the only option or maybe you want to go out to eat with friends and they pick a restaurant that does not have healthy food options! What do you do? What can you eat? 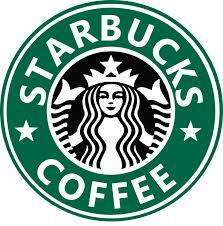 This month I am decoding the popular coffee stop Starbucks! I am not going to focus on their drink menu, but I am going to stick to their foods! Below you will find food guides to eating Gluten Free, Dairy Free, Low Glycemic Index, Low Sodium & Caloric based! I did the work and math so you don’t have to! Disclaimer, most food at coffee shops like Starbucks are not really healthy or ideal, but this is a guide to purchase the best options if you are going to eat there and be smart with what you put into your body. They are somewhat limited, but here is what you can eat if you are gluten free. Please note that there may be cross contamination, so if you have a severe gluten allergy, eat here with caution or do not eat here at all. You can add the brown sugar, dried fruit, or mixed nut topping if you are GF to either of those oatmeal options! You can add the nut/oat mix if you are GF to any of the yogurt flavors! Flourless cookie at Starbucks! Who knew! There are a few dairy free options here. Again, eat here dairy free with a grain of salt as there may be and probably is cross contamination! Hearty Veggie Salad Bowl. I have had this and it is really good and very filling! Let’s say you are trying to eat only foods that are low on the glycemic food index scale. There are two easy ways of calculating a food’s glycemic index. Starbuck’s oatmeal is gluten free, pretty tasty, and a healthy breakfast option! Need to keep down Sodium & Calories… This section is for you! I am not a big fan of counting calories! I think there are more important nutrition factors to consider. Also, if you learn mindful eating and how to enjoy your food, calorie counting is almost not important. That being said, if you are trying to keep track below are meal options that are less than 500 calories (the most you should eat for one meal, when you are on a 2000 calorie diet). Americans on average consume over 3300 mg of sodium per day. Ideally, you should consume less than 2300 mg of sodium per day! If you are 51+ y/o or have high blood pressure, diabetes, or kidney disease, you should strive to consume less than 1500 mg of sodium per day. This can be hard to do if you don’t know how much sodium certain foods contain. Unlike calories this information is not listed anywhere easily accessible. I have created put together a list of Starbuck’s food options below that contain less than 500 mg of sodium, which is the MOST you should consume per meal. 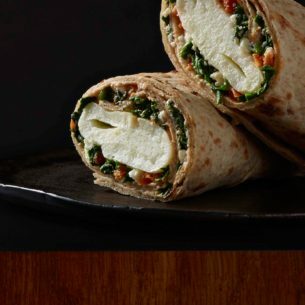 Spinach feta breakfast wrap is a pretty good option for a meal! 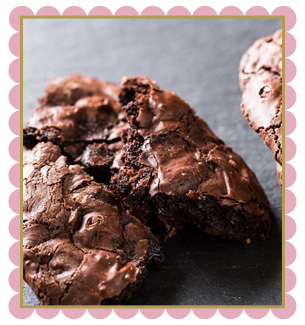 **These desserts have less than 250 mg of sodium & less than 250 calories. They are not low on the glycemic index scale, but we are all allowed some sweets in moderation! If you are going to grab something to eat at Starbucks with your coffee, use the above information as a guide. For a list of all the dietary info, Starbucks has a nutrition guide, which is somewhat user friendly, but you have to look at each item individually to find out what allergens and ingredients it contains! 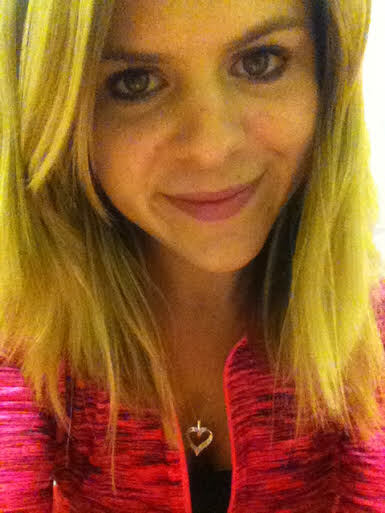 Here is my 5 step guide to eating “healthy” here! 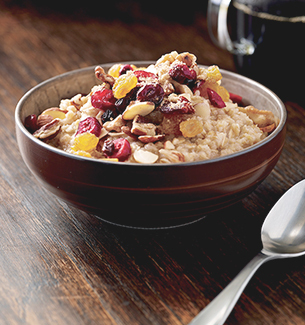 For breakfast, stick to oatmeal with or without the toppings. Starbucks oatmeal is gluten free and fairly health and fresh. Get the blueberry kind or add your own fresh fruit for a great serving of fresh fruit! Not an oatmeal fan, stick to their greek yogurt! All three are fairly healthy, actually tasty, and contain a serving of fruit! 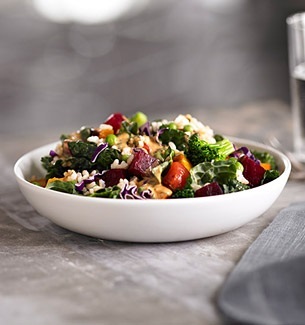 For lunch, pick between one of their salads or a low glycemic index meal! Stay away from most of their pastries! They almost all have gluten, dairy, a ton of sugar & sodium, and are high on the glycemic index! If you need something sweet! Stick to the dessert options listed above that are under 250 calories and 250 mg of sodium! My lunch today! 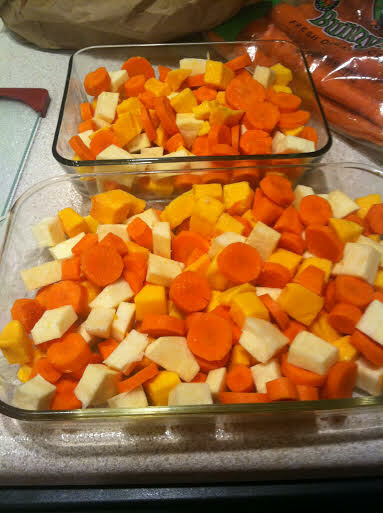 Carrots, butternut squash, and sweet potato with olive oil, rosemary, and salt/pepper! Put in oven or crockpot with a little bit of water. Enjoy!